This example of a custom system, was designed and built for an A level student Computing project for them to design and write the software. 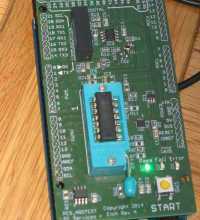 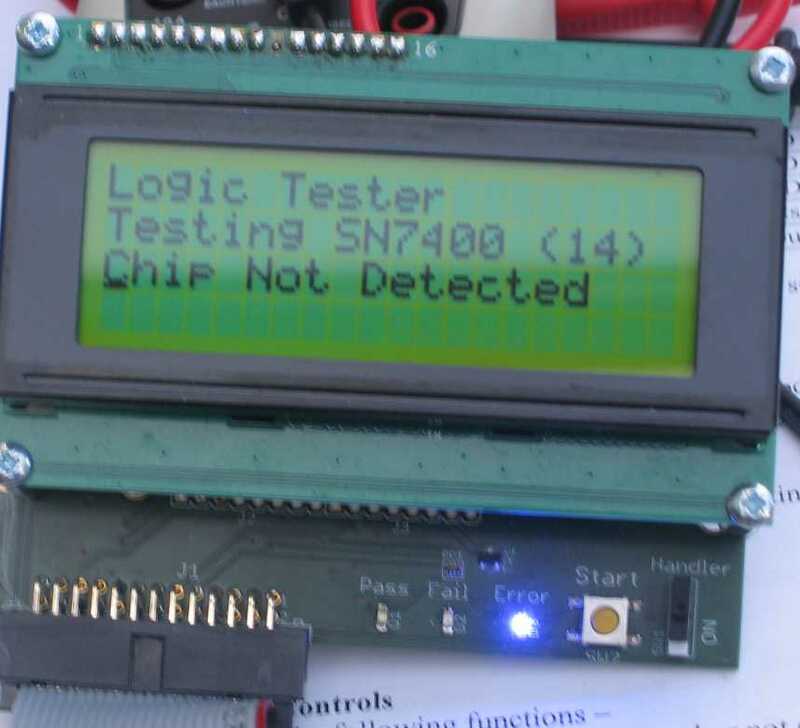 In this case a standalone unit for testing logic devices (DIP package 74 series, 14 and 16 pin), utilises an Arduino/Genuino Mega as control. 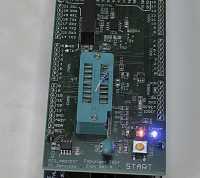 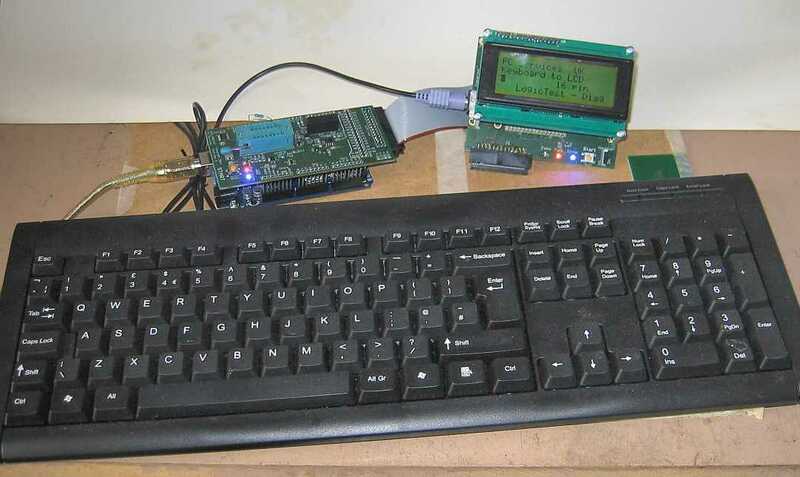 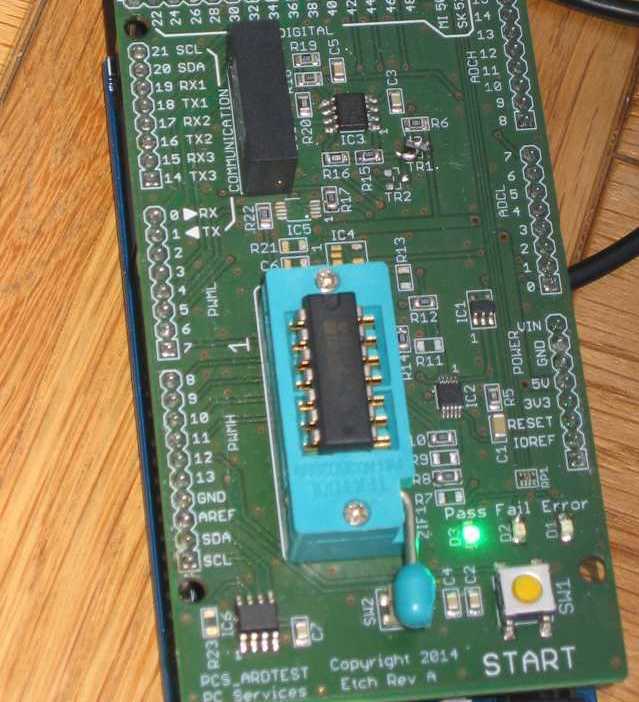 Project tested over 30 different devices in the same code, device selection via serial port or PS2 keyboard interface. 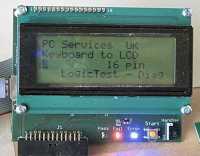 When a test is completed the Pass or Fail code is also output to serial port, for other systems to log if required. 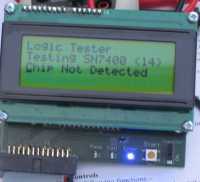 Monitors some analogue functions and current consumption of the device, along with testing logic functions of many device types. 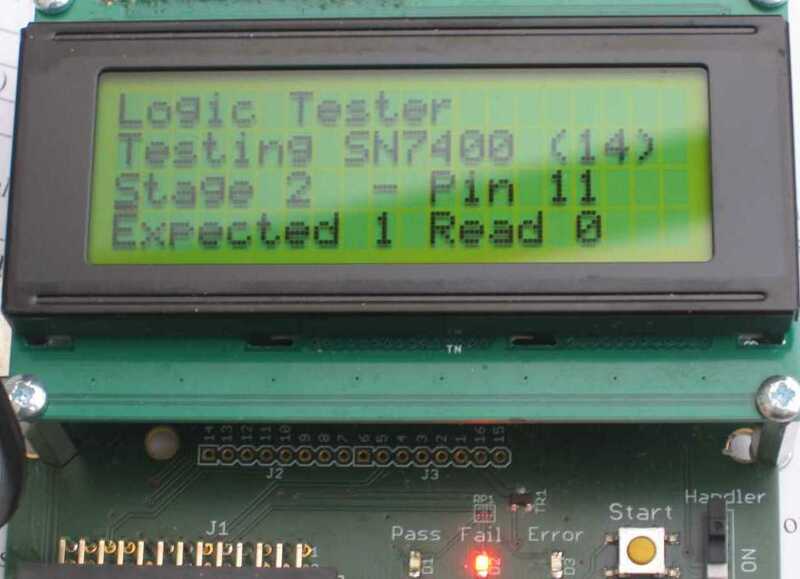 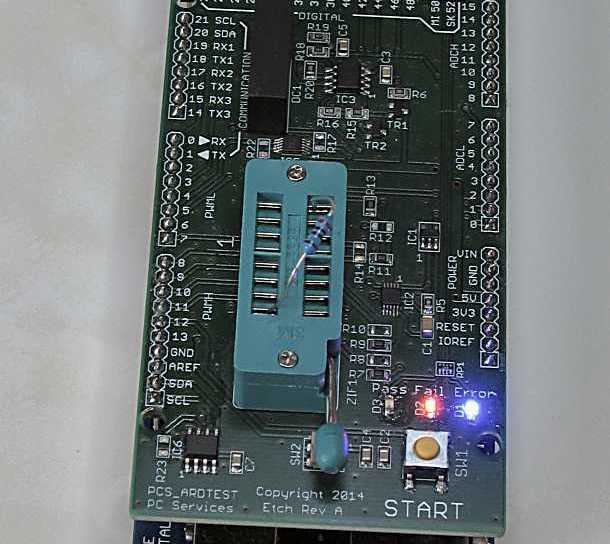 In real semiconductor testing Automated Handling is often used to load and remove many thousands of devices between tests, so the tester had simulated inputs and outputs using additional switches and LEDs.